FAIRHAVEN, MA / April 26th, 2018 / BASK, Inc. (BASK), the only Registered Marijuana Dispensary in Southeastern Massachusetts, will be celebrating National Arbor Day on April 27th by donating a Blue Spruce seedling to each visiting certified, registered Massachusetts cannabis patient until they are gone. BASK is encouraging patients to take a tree and choose a place to plant it where it may thrive for their enjoyment for years to come. Each tree planted will remove 48 pounds of C02 from the atmosphere each year and over a ton of C02 during it’s life time. 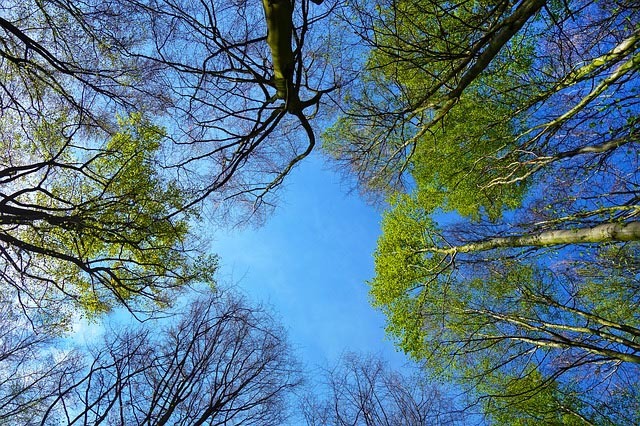 “If we can plant all of these trees this spring we will help remove thousands of pounds of CO2 each year and help beautify the Massachusetts landscape,” said Chapman Dickerson, CEO of Bask. Arbor Day is an annual observance that celebrates the role of trees in our lives and promotes tree planting and care. As a formal holiday, it was first observed in 1872, in Nebraska, but tree planting festivals are as old as civilization. The tree has appeared throughout history and literature as the symbol of life. Each seedling will be bagged with soil by the horticultural experts at BASK and will include specific planting directions. Participants are asked to take a photo of their planted tree and email it to info@cometobask.com or post it to the BASK Facebook page (@baskfairhaven) or the BASK Instagram page(@BaskinFairhaven) for a chance to win an Arbor Day T-Shirt or other prizes. Let’s get together and celebrate the importance of Trees! BASK is a co-located Registered Marijuana Dispensary located in Fairhaven, MA. BASK has been serving medical cannabis patients in Massachusetts since February and was recently certified as a Priority Applicant by the Cannabis Control Commission for the Adult-Use market. For more information about BASK please visit www.cometobask.com or email info@cometobask.com.